Our main goal is to provide our customers with the convenience expected from their automatic swinging (single swing, simultaneous pair or dual egress) doors while maintaining the latest safety standards that their patrons deserve. Our technicians are trained to check your automatic swinging door for compliance with the American National Standards Institute standard ANSI/BHMA A156.10. 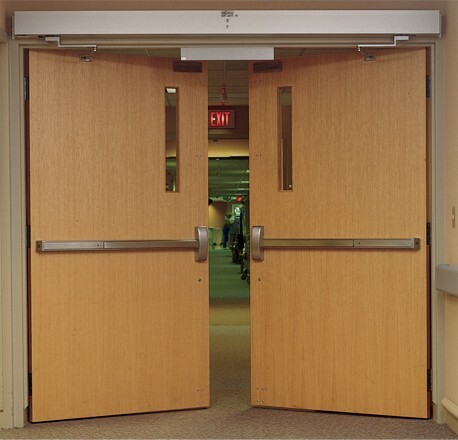 Retrofitting is available for all makes and models of swinging doors, which extends the life of your doors. Diamond State Door can make adjustments to speed, assure functionality, safety, lube and adjust, check for loose screws, sensors and safety decals. 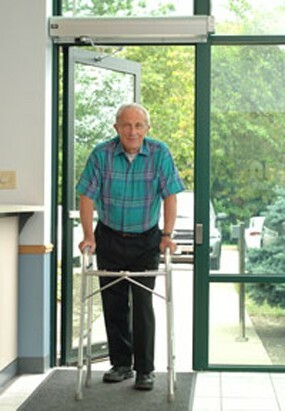 Doors are inspected to current ANSI safety standards. Our technicians evaluate the condition of the door operation, weather seals, bottom sweeps, controller and motor operation, rollers guides and tracks, then make recommendations or repairs.or your home decor. Choose a perfect match in Hörmann Tucana design collection that offers durability of steel and safety. 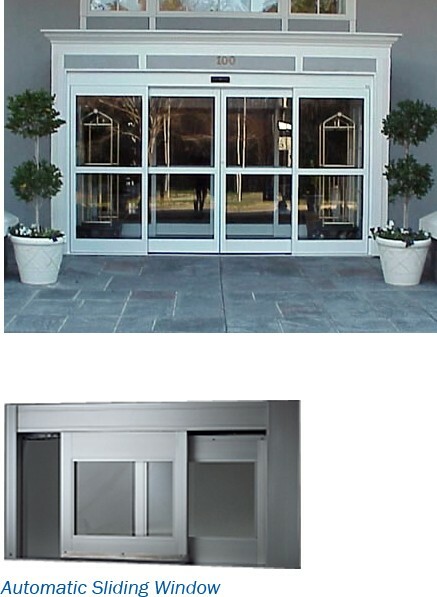 Our automated door lines offer attractive, convenient and practical solutions for door automation at any facility. The options are virtually limitless – you can choose from overhead concealed, surface mount, telescopic, all glass, hurricane resistant or even curved sliding doors. Swing doors offer a versatile and compact entrance that take up minimal wall width while providing directional traffic in your facility. With access to multiple OEMs, DCS is able to provide an extensive array of surface-mounted and concealed swing door options. 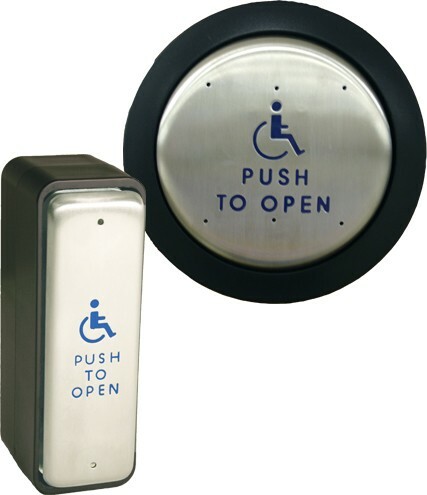 DC 7000 – This low energy swing door operator allows entrances to be handicap accessible. Diamond State Door provides a low energy operator that can automate virtually any swing door: new or existing. Engineered to meet the most difficult applications, the operating mechanism installs on the door frame in place of a conventional closer and works with virtually any wood, metal or glass door. The low energy design makes it a very cost-effective method to automate a swing door, transforming your existing manual door into a barrier-free ADA compliant entrance.